Thanks to Jean for some thoughts on Sissinghurst! 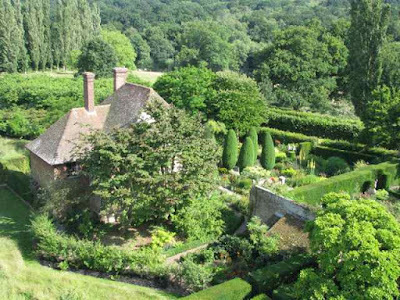 This post is for Jean at Jean's Garden who wrote about Sissinghurst in a post last week. Thanks for all your thoughts Jean and I thought that as The Galloping Gardener, I should join in the debate here, because I've never yet featured this "iconic" garden on my blog and wouldn't have considered doing so without your suggestion .... just too many coaches and crowds for me! Jean has given a wonderful review of the garden in her post, so I'm only going to add some comment and some additional pictures, because although we English love this garden, we rarely visit because it is so crowded that it is virtually impossible to enjoy it, unless you can get ahead of the coach crowds, which really means visiting at the end of the day, or the end of the season. 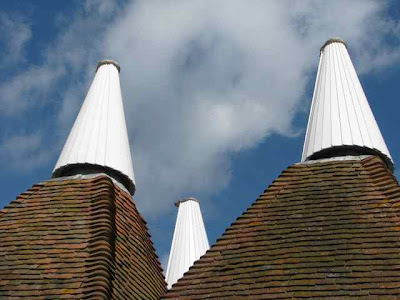 But if you don't mind being part of the throng, you'll fall in love with this place the moment you arrive and catch sight of the oast houses (above). 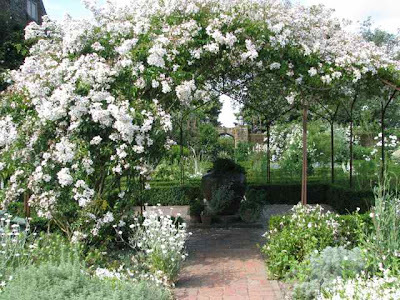 And of course, it's world famous for its White Garden (below) and the series of garden rooms that are synonymous with Sissinghurst .... 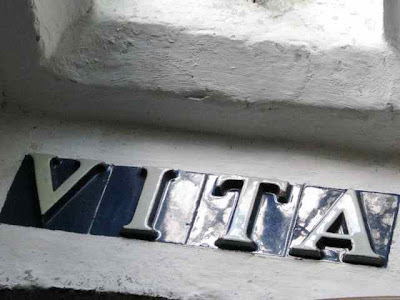 It's steeped in history too because this was Vita Sackville West's home. 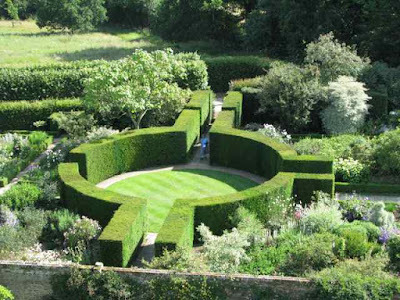 If you want to read a highly entertaining account on visiting Sissinghurst, check out Tom Turner's piece on Garden Visit - he's a brilliant writer and you'll see what he thinks about the property. That said, if you're visiting from overseas, Sissinghurst is to the UK what Giverny is to France, so I guess that foreign gardeners will want to make the pilgrimage anyway - so good luck with the crowds and as I said earlier - visit late in the day and you'll see the gardens looking the way they do here in these pictures. 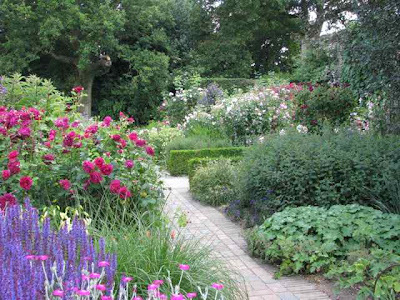 There are so many beautiful gardens in the UK - click here - Garden Visits 2009 to see some that I've reviewed in the last nine months! 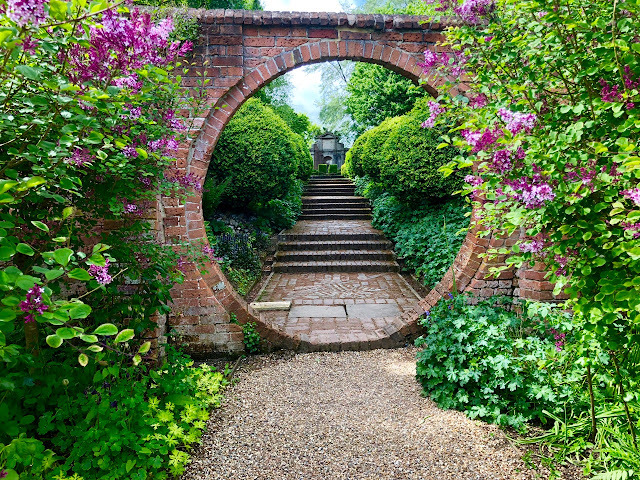 And if you're looking for iconic English gardens, there's also the Beth Chatto Gardens, Iford or Cothay Manors, Heale House, Waterperry Gardens or Kew, to name just a few. 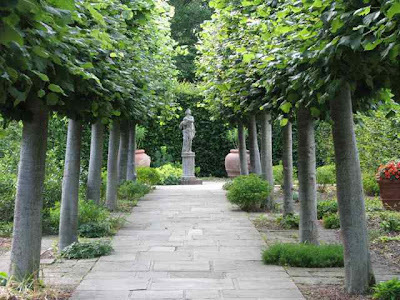 Happy visiting and really hope that when you do, you'll let us know what you think of Vita Sackville West's former home, or any other UK garden that you visit! Oh my goodness. I just look at this and sigh. How lovely. I can well imagine falling in love with this place. These are lovely photos (as always here on your blog) and that is a good tip about visiting Sissinghurst, to visit late in the day or season. I haven't visited this garden, and would love to some day. I had a similar experience at Hidcote added to the crowds were lots of volunteer gardeners. 2 areas were cordoned off so they could work on them and they were filming so that was another area difficult to see plus the bright filming lights. Even so I would so like to see Sissinghurst that I am planning a visit next year but don't expect to enjoy it!! I can't even imagine living amidst that garden! What a joy! You've included some fabulous photos, in addition to Jean's. Beautiful post about a lovely place! The site is fantastic; I had a walk around it earlier this year in the snow (I was there for a lecture). 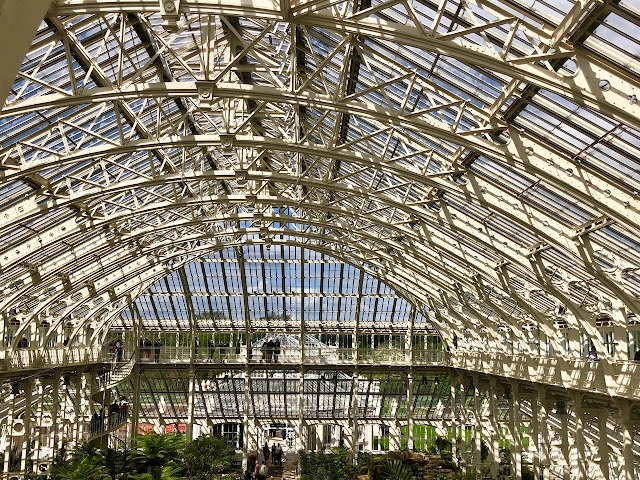 The gardens were closed but the buildings are just breathtaking, plus there were no crowds at all!